OSWEGO, NY – Lois Mays-Cagnoli, 74, a resident of Minetto, passed away Monday March 5, 2012, at Oswego Hospital. Lois was born in Brooklyn, NY, the daughter of the late Gilbert and Marie (Grieves) Hinde. 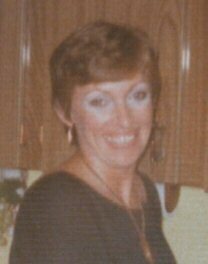 She lived in Long Island for several years, and moved to the Oswego area in 1979. Prior to her retirement, she was employed with the Oswego City School District. She had been a volunteer with Head Start, and with Literacy Volunteers of Oswego County. She is survived by four daughters, Lisa Mays of Minetto, Lori (Mike) Stinnett of Tennessee, Valeri (Doug) Roshau of Minetto and Kerri Bricker of Oswego; two sons, Walter (Judy) Mays of Georgia and Daniel (Kim) Mays of Minetto; two sisters, Patricia Jean of Long Island and Jill Hinde of Oregon; 19 grandchildren, Heather, Christine, Jennifer, Amanda, Holly, T.J., Christopher, Dustin, Kristen, Phillip, Daniel, Kodie, Brandon, Tacy, Mason, Ashley, Nicole, Alex and Jace; 15 great-grandchildren; and several nieces and nephews. She was predeceased by a son, John Mays, who died in 1979; a sister, Catherine Hinde; and a brother, John Hinde. Services will be held at 3 p.m. Saturday at the Dain-Cullinan Funeral Home. Calling hours will be held from 1 to 3 p.m. Saturday, prior to the service, at the funeral home, 112 E. Second St., Oswego. My sincere condolences on the loss of Lois. I knew her, Pat, Jill and Cathrine growing up in Centerreach/Smithtown. Her father Gilbert was my uncle. My dad was Robert A. Hinde his brother. I’ve been doing the family genealogy since 1992 the this is always the saddest part of updating the family file. Again my condolences on your lost. father Gilbert and my father Wade were brothers. Our deepest condolences to Lois’s family. I had not seen her since 1979 at my grandmother’s funeral. My grandmother was Jennie Ruth (Hinde) Olsen, Lois’s aunt. Our thoughts and prayers are with you at this sad time.